This jQuery Plugin allows you to add Audio Player with the Playlist into your sites. You can add as many songs into the player as you wish and your website visitors will be able to switch between the songs, see the artwork of each song, etc. The player is also very customizable and responsive. 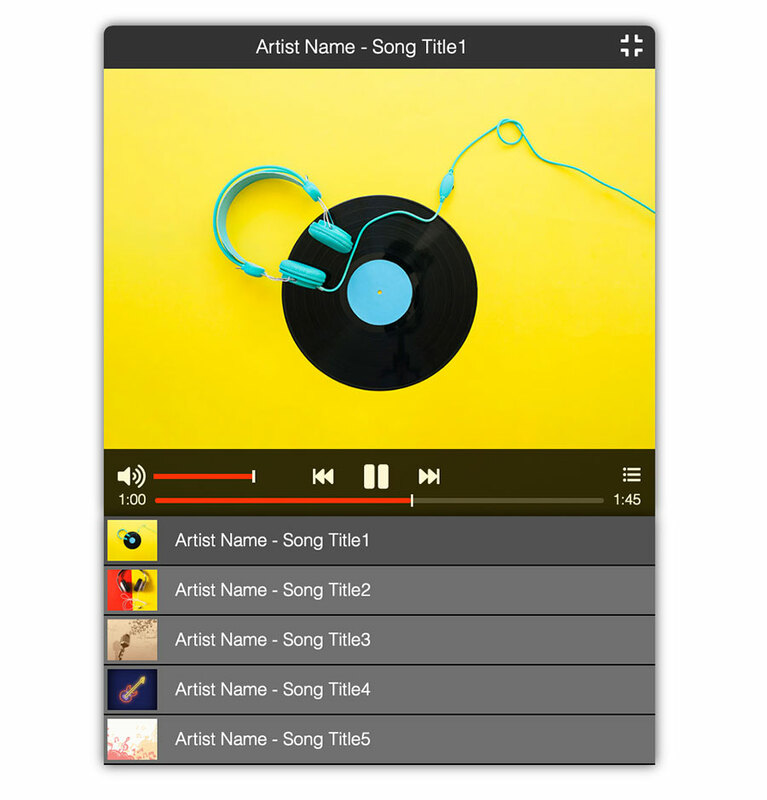 Playlist – This audio player contains an awesome playlist with all your songs. You can easily switch between the songs and see their titles. 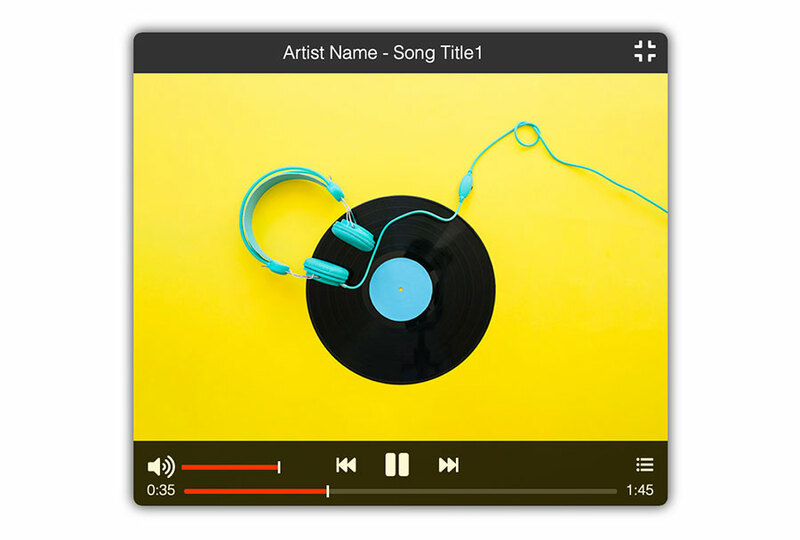 Artwork – You can provide artwork for each song in the player. This gives the great visual impression and the player looks even better. Responsive – This player is responsive and looks great on any device. Fully Customizable – You can change colors, sizes and other attributes of every element in the player. Mobile Friendly – This plugin works great with phones, tablets and desktop computers. So your website visitors can play the music on whatever device they prefer. 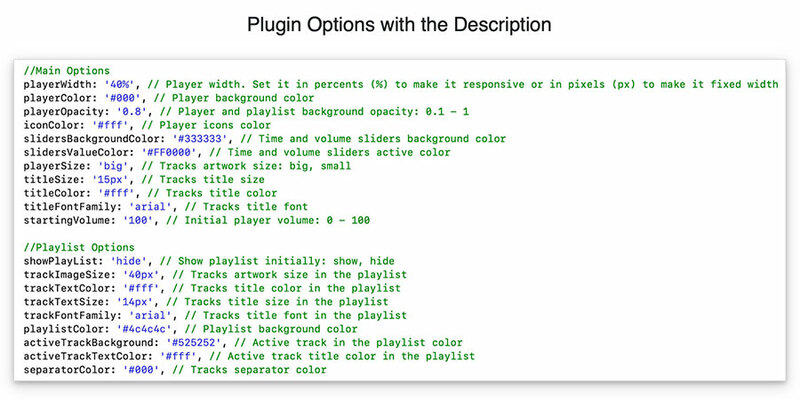 Easy to Setup – You can implement Music Playlist into your website with just a few lines of code.